Today we spoke to two young entrepreneurs from the township of Khayelitsha who are making it happen in the health field. First up was a man they call the Spinach King. 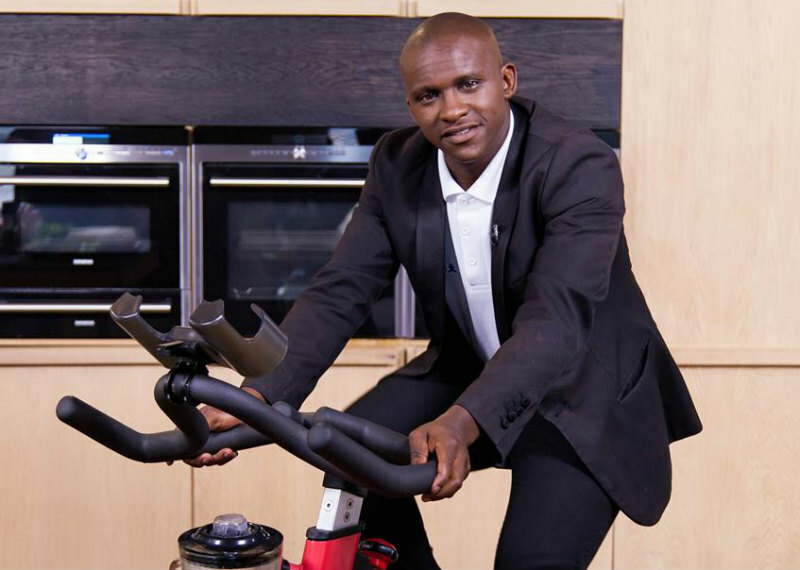 Lufefe Nomjana is a social entrepreneur who has started a health revolution by opening a café which focuses on healthy foods. 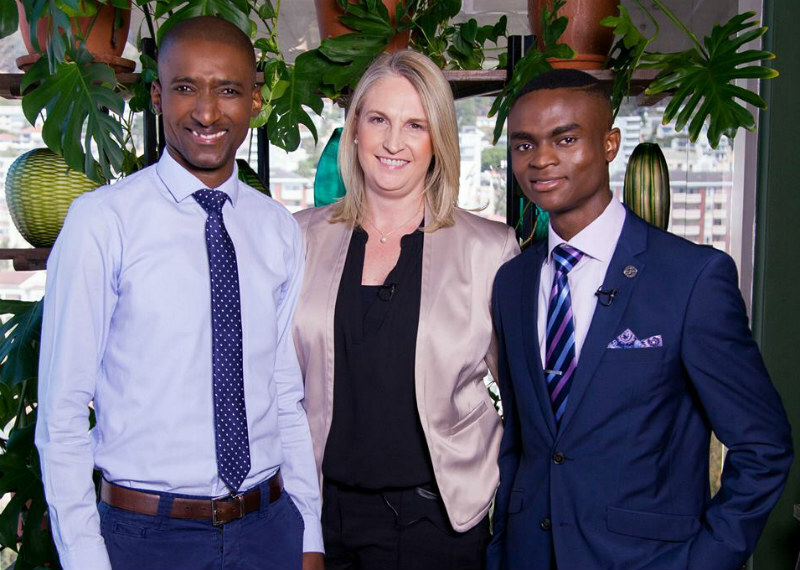 We were also joined by Sizwe Nzima who started delivering medication to his granny a few years ago and now has a full-blown delivery service with more than 1000 customers. We also featured the people behind the Make A Difference Leadership Foundation! 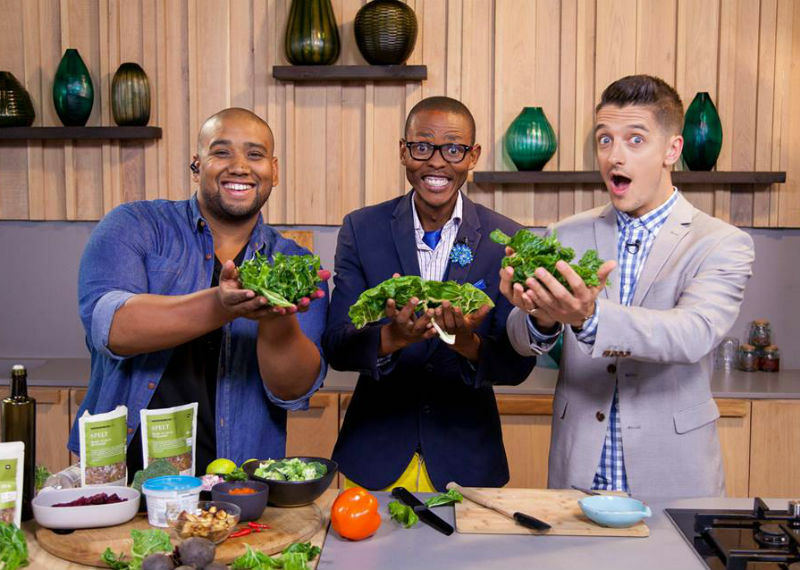 In the kitchen it was all about spinach as we made a Green egg & spinach wrap + Spicy spinach and spelt salad!